The history of chocolate has a record of at least 4,000 years. It comes from the fruit of a Cacao (aka cocoa) tree, known as Theobroma Cacao.The tree grows on small farms in West Africa, Southeast Asia, and North and Central America. You can give credit to the Olmec, Mayan and Aztec civilizations that discovered the cacao bean. In 2000BC, cocoa is said to have originated from the Amazon. While different groups were originally trying to make beer, chocolate was the result. Cacao seeds were used to make ceremonial beverages consumed by elites of the Aztecs and other civilizations. Native to the tropical regions of Mesoamerica, the evergreen cacao tree grows small, white flowers throughout the year, which are pollinated by tiny flies. The fruit, called a cacao pod, then grows. It is an oval shape, and changes from a yellowish color to more of an orange when ripe, and weighs about a pound. Each pod contains a white fruit with around 40-50 seeds, usually called beans. The white flesh is eaten or made into juice in some countries. The beans are the main ingredient for chocolate and cocoa powder. The Mayans, in the 6th century, started to use the cocoa bean to make chocolate. The word “chocolate” comes from the Maya word xocoatl,which means “bitter water.” To the Mayas, cocoa pods symbolized life and fertility. Stones from their palaces and temples revealed many craved pictures of cocoa pods. The Maya also used chocolate in religious rituals; it sometimes took the place of blood. Chocolate was used in marriage ceremonies, where it was exchanged by the bride and groom, and in baptisms. They even had a cacao god. The Maya prepared chocolate strictly for drinking. Chocolate history doesn’t include solid chocolate until the 1850s. Except for that, the way the Maya prepared chocolate wasn’t too much different from the way it’s prepared today. First, the beans were harvested, fermented, and dried. The beans were then roasted and the shells removed, and the rest was ground into a paste. The paste was mixed with hot water and spices, such as chilli, vanilla, annatto, allspice, honey, and flowers. Then the mixture was frothed by pouring it back and forth between two containers. They thought the froth was one of the best parts. Chocolate was also mixed with corn and water to make a sort of gruel. It was similar to the chocolate and corn drink Pinole, still enjoyed in Latin America today. In 1657, a Frenchman opened the first chocolate house in London. It was called The Coffee Mill and The Tobacco Roll, and because of the cost of the drink, only upper class could buy it. Due to the popularity of chocolate, by 1674, it became an ingredient in cakes and rolls. In 1847, Joseph Fry of Bristol, England, made the next major leap, with the invention of a steam engine for grinding the beans. This allowed chocolate to be manufactured on a larger scale. The steam engine was crucial in mechanizing the process of grinding cacao seeds to produce chocolate. 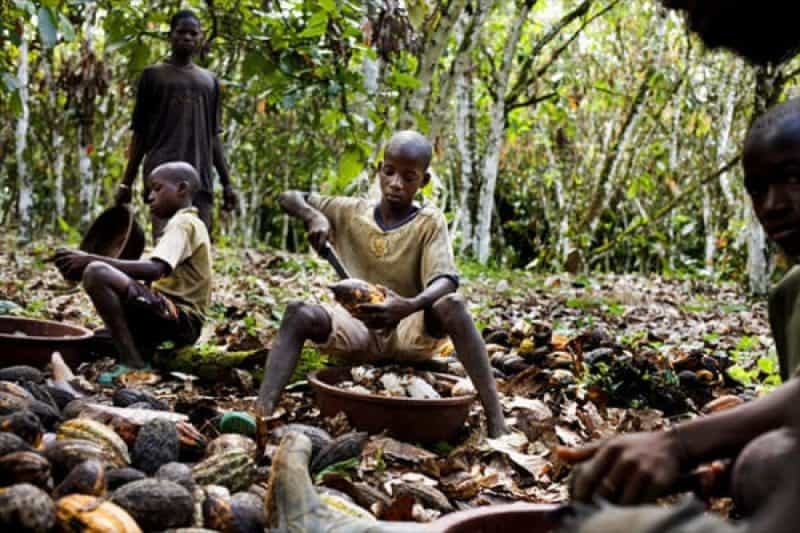 Before the steam engine, cacao seeds were ground in mills driven by animal, wind, or water power, and before that they were ground by hand with stones. The power supplied by the steam engine enabled chocolate makers to streamline chocolate production in larger quantities. Before Fry & Sons could create the chocolate bar, however, Dutchman Conrad J. van Houten invented a hydraulic press in 1929 that was used to create cocoa powder. Today this process is known as “Dutching”. From there, chocolate took off. Richard Cadbury is said to have created the first known heart-shaped box for Valentine’s Day in 1861, and Daniel Peters of Switzerland produced the first milk chocolate bar in 1875, using powdered milk that had been invented by Henri Nestle a few years earlier. Like chocolate itself, the chocolate chip cookie was also an accident. Ruth Wakefield, a dietician-turned innkeeper, was baking cookies for guests at her Toll House lodge in Massachusetts when she discovered she didn’t have baker’s chocolate. So she substituted a semi-sweet chocolate candy bar cut into little pieces. But, unlike the baker’s chocolate, the candy bar didn’t melt completely. She had inadvertently created the world’s first chocolate chip cookie. The resulting creation became popular at the inn, and soon Ruth’s recipe was printed in several New England newspapers. The cookie was a hit. As the new chocolate chip cookie’s popularity soared, so did sales of the Nestle semi-sweet chocolate bar used in the cookies, and eventually Ruth Wakefield and Nestle reached an agreement that allowed the company to print the Toll House cookie recipe on the label of Nestle’s semi-sweet chocolate bar. As part of the agreement, Ruth received a lifetime supply of chocolate for baking her famous cookies. The raw beans of cacao are very good for you, full of vitamin C and magnesium, but they are bitter. The beans also have a fair amount of caffeine in them, like coffee or tea, and can help you work harder than you could without cocoa. Although chocolate was not meant to be created, it was, and is now one of the most popular treats to enjoy at any time. “Chocolate History: Who Invented Chocolate?”Facts About Chocolate. N.p., 2006. Web. 08 Jan. 2015. “Chocolate and the Steam Engine.” Chocolate Class. N.p., 14 Mar. 2014. Web. 06 Jan. 2015. “Where Is It From?” – The Story of Chocolate. N.p., n.d. Web. 15 Dec. 2014. Lisa, DH. “Who Invented Chocolate? The Sweet History of Chocolate.” HubPages. N.p., 2014. Web. 15 Dec. 2014. “History of Chocolate | The Gourmet Chocolate of the Month Club.” History of Chocolate | The Gourmet Chocolate of the Month Club. N.p., 2014. Web. 15 Dec. 2014. Tohi, Willow. “History of Cacao.” NaturalNews. N.p., 13 July 2013. Web. 17 Dec. 2014. “Chocolate Invented 3,100 Years Ago by the Aztecs – but They Were Trying to Make Beer.” Mail Online. Associated Newspapers, n.d. Web. 17 Dec. 2014. “Cacao, Chocolate – Theobroma Cacao – Seeds.”Cacao, Chocolate – Theobroma Cacao – Seeds. N.p., n.d. Web. 17 Dec. 2014. “Old-fashioned Bean Grinder.” Dreamstime. N.p., n.d. Web. 17 Dec. 2014. “Chocolate.” History of for Kids! N.p., 2014. Web. 17 Dec. 2014. “Nuts.com.” Raw, Organic Cacao Beans. N.p., n.d. Web. 17 Dec. 2014. Thank you for the article. Its so helpful in my homework.